As Christi Mooring, left, began her fight with cancer, she received a set of My Knockout gloves from Middle Tennessee Electric Membership Corporation co-worker Shawn Futtrell, son-in-law of My Knockout founder Sheree Wooten. When Mooring heard of another co-worker’s cancer diagnosis, she knew exactly what to do and purchased another set of gloves for Howard Ruse, right. 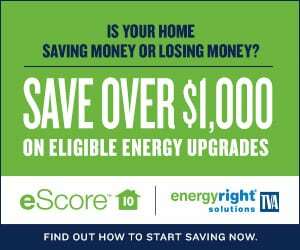 In the spring of 2004, Murfreesboro’s Sheree Wooten received news that no one ever wants to get though it’s something people somewhere hear every single day: Her mother had cancer. In fact, Gerrell Craig had liposarcoma, a rare type of cancer that forms in the fat cells of deep, soft tissue. Craig had to have a tumor the size of a small Nerf football removed, and as a loving daughter, Wooten wanted to do whatever she could to help her mother fight the disease. 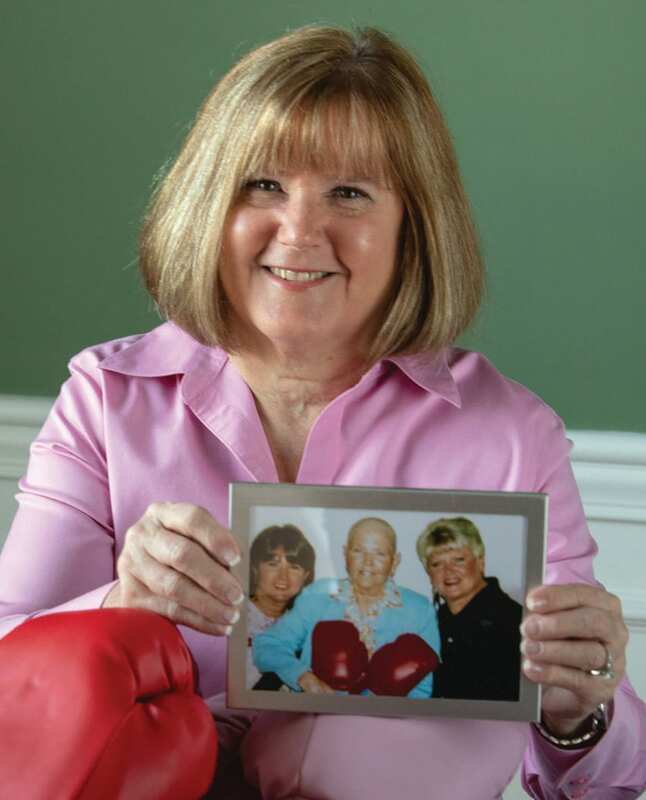 Little did Wooten know at the time that the decision to make those purchases would eventually lead her to start a company that sells boxing gloves to inspire others fighting cancer, heart disease, depression or any other physical or emotional battle. Wooten gave her mom the original pair of gloves on a Friday. The following Monday, when she went back to Nashville, she talked to her boss about how to start up a company. Within two weeks, she had met with a lawyer and started the process of getting a business license. Things moved quickly. Wooten bought the domain name and started working to build a website. While telling a friend what she was trying to do, Wooten found out the friend and her husband did business with a man in India who happened to make boxing gloves. Everything just fell into place. Sheree Wooten holds a photograph of herself, her sister, Karen Brown, and their mother, Gerrell Craig. During their mother’s battle with cancer, Sheree bought a pair of boxing gloves as a lighthearted gesture to encourage Gerrell to fight. Little did they know the gloves at left would spur victims of cancer and other diseases to fight to survive. Soon the ball was rolling on getting gloves made. Wooten sent pictures of her logo and received samples of the colors pink and red for the gloves. 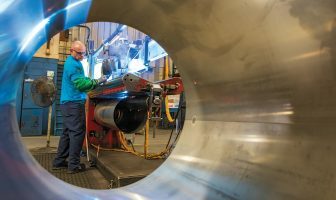 Because of the distance between Wooten and the manufacturer, it took time to get started, but the determined sisters just plugged away, day after day. When Wooten had no luck in finding someone in America to make the gloves, she sent messages back and forth to India until she finally received the first sample of the gloves. Craig passed away in August 2005 after her cancer returned in the spring of that year. 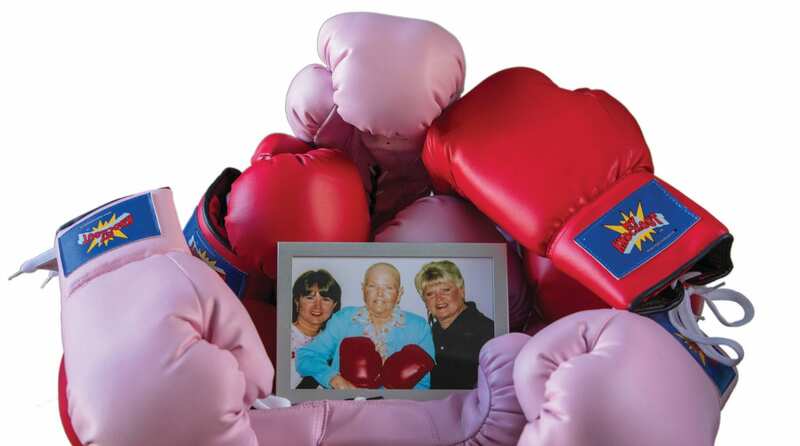 Prior to her passing, she let Wooten know that though the idea for the boxing gloves came about because of cancer, they should be for anyone facing any kind of difficult struggle. To spread the word about My Knockout, Wooten and her sister went to AmericasMart, a wholesale trade center in Atlanta, and met a lot of great people who bought the gloves and put them in all different types of stores and gift shops. 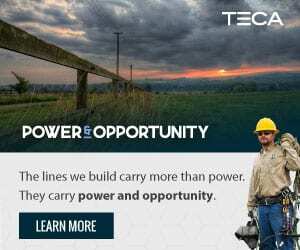 Many of the sales, however, came through the company website as word spread. 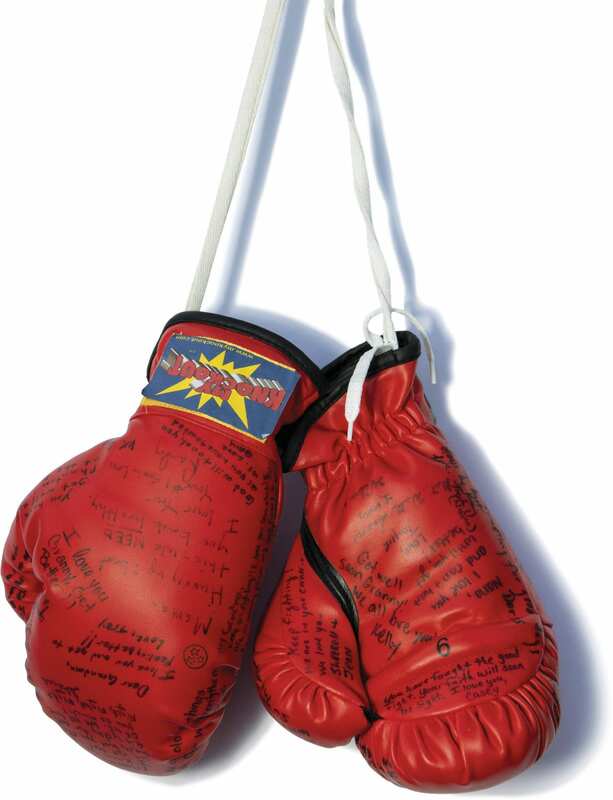 A purchase includes a pair of full-size red or pink boxing gloves, a permanent marker to use in writing encouraging messages on the gloves, an encouragement card, a gift bag and tissue paper. 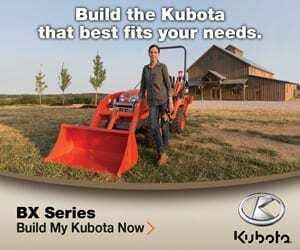 The cost is $45 with 15 percent being donated to the American Cancer Society for research into cures for liposarcoma and other types of cancer. Recipients of the gloves have found the intended inspiration to fight their ailments. Among them is Christi Mooring, an operations quality assurance technician with Middle Tennessee Electric Membership Corporation in Murfreesboro, who is fighting breast cancer. Christi received a pair of the My Knockout gloves from co-worker Shawn Futtrell, who is Wooten’s son-in-law. Mooring says the gloves have definitely helped her. One of those for whom Mooring has bought gloves is yet another co-worker at MTEMC, Howard Ruse. “Christi decided to get a pair for me after she learned about my cancer situation,” says Ruse, a facilities coordinator at the cooperative. “She felt that hers helped lift her spirits, so she was kind enough to do for me what had been done for her. My diagnosis is that I have stage 4 prostate cancer that has now spread into my bones. There is no cure at this time, but every time I look at the gloves, it gives me the determination to keep fighting this disease. Another of Mooring’s friends to receive a pair of gloves is Cori Dodson, who has just completed her final chemo treatment for cervical cancer and credits the gloves with getting her through the rough patches. Dodson’s upbeat attitude shines through even when discussing a serious and scary subject. Despite having an upbeat attitude, there are just some days when the awful side of being treated for cancer wins the day. And that’s when those boxing gloves full of messages came in mighty handy. If you know someone who could use some encouragement to keep fighting a disease or tough situation, you can order a pair of My Knockout boxing gloves at myknockout.co/ (note that it’s a .co address and not a .com) or call 877-887-5837.